Sitting at the intersection of Martin Luther King Jr Boulevard and Umstead Drive in Chapel Hill is a recently finished unique memorial created by Liberty Arts Board member and founding artist, Michael Waller. It is a commemorative bench honoring the life and legacy of Joe Herzenberg. Herzenberg was a local historian, social justice advocate, and first openly gay elected official in North Carolina. In addition, he was an advocate of environmental issues in the community. His efforts lead him to help create greenways in Chapel Hill and the city’s tree protection ordinance. It is fitting that his memorial is a bench located on the Bolin Creek trail. This unique memorial was created by Liberty Arts board member, Michael Waller. Waller’s intent in creating In Memory of Joe Herzenberg was to create a space of reflection that both enhances the Bolin Creek environment and honors the life and legacy of Joe Herzenberg. In Mike’s artist statement about the piece, he wrote that it includes two cast concrete benches; one large bench, organic in form, and one circular personal bench. 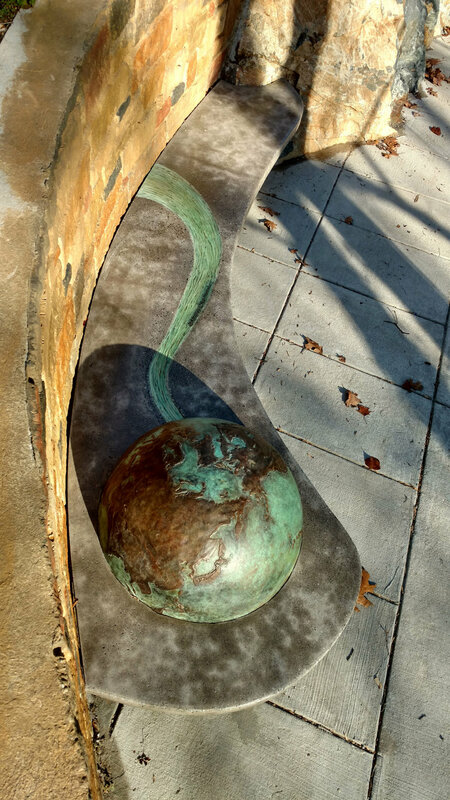 The form of the large bench mimics the flow of the land surrounding Bolin Creek and consists of a blue-green bronze inlay representative of the creek and Joe's connection to its movement and preservation. Waller’s piece also uses a variety of materials and artistic details to tell Herzenberg’s story. 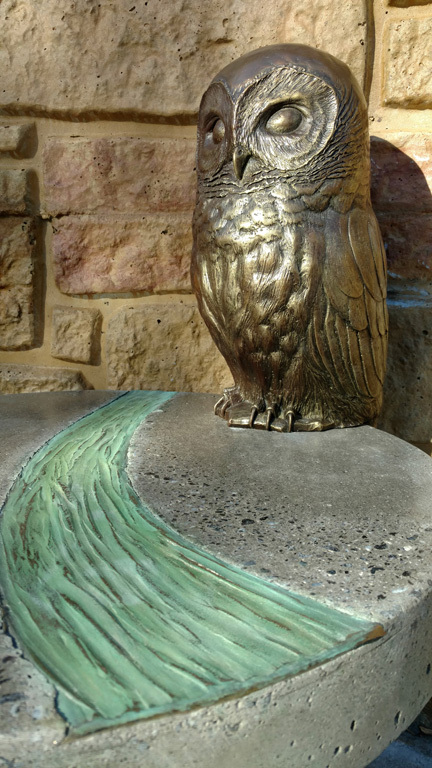 For example, the bench features a bronze barred owl. The creature is representative of Herzenberg’s spirit contemplating the creek alongside any travelers that stop to rest. This public art serves as a fitting memorial for a man whose legacy inspired people of all backgrounds to advocate for the causes in which they believe. As a community, it is up to everyday people to preserve the legacy of individuals that have made important contributions. 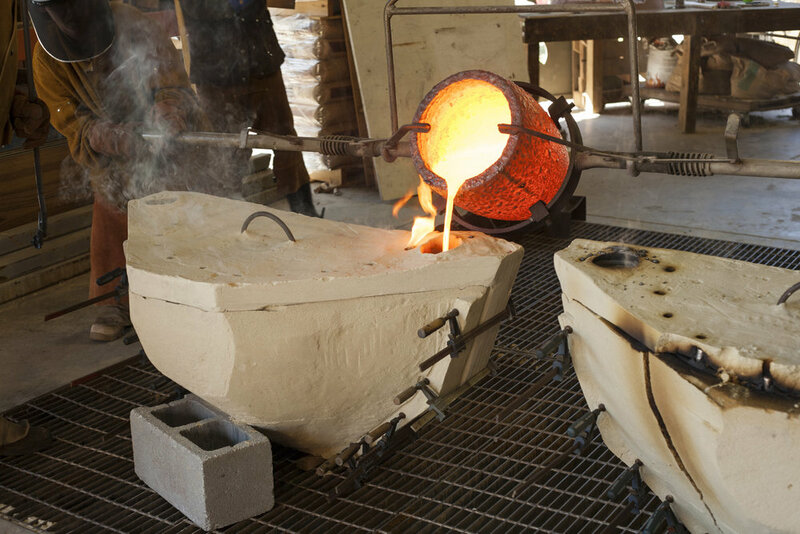 Michael Waller’s In Memory of Joe Herzenberg is a piece serves as a reflective space to honor those who have made a difference. The weather is slowing changing and Daylight Savings means more sunshine! 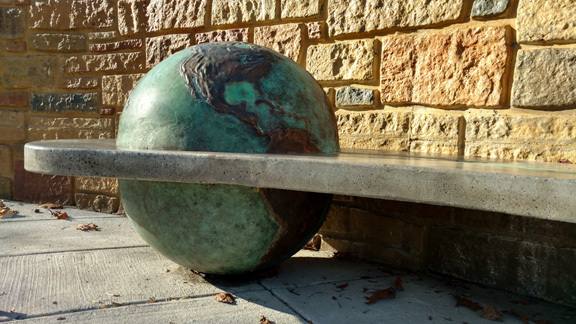 Now’s the perfect time to get some fresh air and plan a trip to see Michael Waller’s impactful memorial bench. While you’re there, take a selfie, tag us on Facebook, Twitter, or Instagram and tell us what the bench means to you.